You might have the food and music for your event sorted, but have you really thought about the lighting? Since it has such a huge impact on the ambience, you’ll need to get the lighting right to make your party a success. It’s often overlooked, but changes in lighting can keep your guests circulating from room to room. Here are some tips to help get you started. As the evening progresses, the lights should get dimmer. Soft lighting helps to relax us and brings people closer together. It creates a cosier environment for your guests, and can actually help to make spaces seem bigger. To create a lowly lit atmosphere, consider using dimmers, lower wattage bulbs, or even candles. You could also think about using paper lanterns for a simple and temporary method of subtle lighting. Accentuate certain areas by placing lights in various parts of the room. You could drape fairy lights around the fireplace, for example; or place uplights behind plants to create interesting shadows. Use different coloured lights if it fits the occasion and play with flickering speeds to create the right feel for your party. Mirrors and other reflective surfaces are ideal for getting light to bounce around the room without using too many light sources. Objects like reflective baubles and disco balls are also great for adding a festive sparkle to the atmosphere. To keep light out of people’s faces, you could use opaque lamp shades so the brightness is directed upwards and downwards. If you have high ceilings, think about low pools of light. This can create a vastness above your guests’ heads and provide the illusion of a higher ceiling. Alternatively, you could attempt to make the space more intimate by placing several small lamps around the room. Again, you might consider shadows and how they could be used to create interesting patterns on the walls and ceilings by adding pierced lanterns. 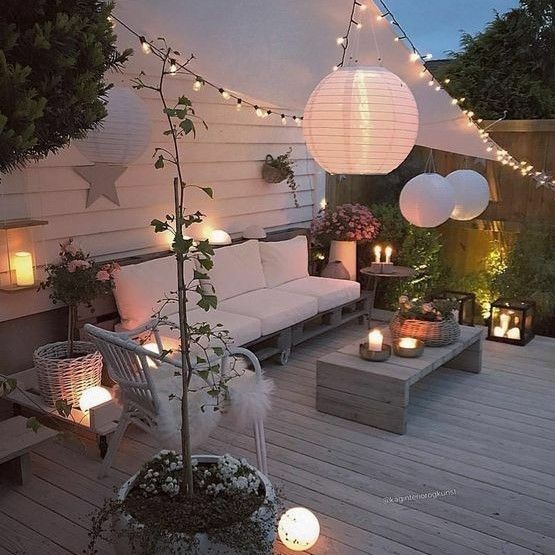 People enjoy going outside for fresh air at parties, so it’s worth making your outdoor area nicely lit. If it’s chilly, you could invest in a patio heater, or even chimenea, which would also create a flattering glow. 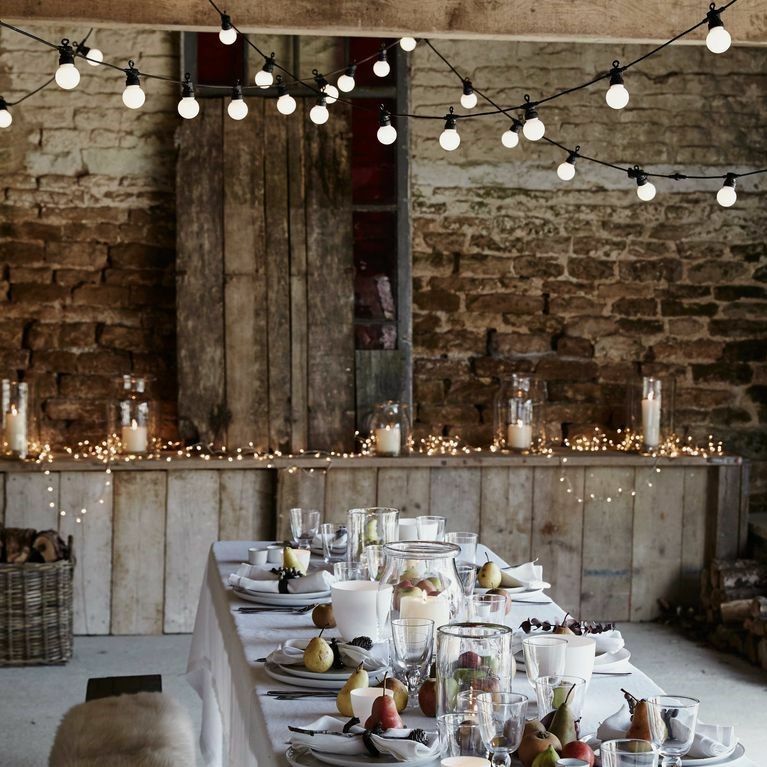 Try adding character to your garden by adding fairy lights, spot lights, tea lights or festoon lights to your outdoor features. This can give your guests an attractive display from indoors if they do not wish to venture outside. Depending on the occasion, your party could get out of hand and there’s always a chance that lighting-related accidents could happen. Make sure any candles are supported by sturdy bases and are kept far away from curtains, walking space and anywhere they could possibly cause harm. Keep cords safely out of the way so your guests will not trip up on them and avoid placing lamps and electrics near water sources.